Interested about the Chile culture? There’s a lot to say about the Chile culture. Let me introduce you to the Chileans. I’ll show you their way of life, customs, their traditions and emblems such as their flag. By knowing their customs, it will help you understand the true soul of this country and its people. This involves everything from their social conduct to their traditional dances, their traditional sayings and also the modern ones too (slang words). Their favourites sports, their artistic expressions such as writers, signers and bands, their photographers, painters, musicians etc. Another thing that makes up the Chile culture are the ceremonies that they celebrate each year, being one of the most important to them the 18 of September. This is their independence day. Then there are the religious dates. The Catholic Church has a lot of influence still on this country, so there are a lot of these religious ceremonies that are catholic related. Also the remembrance days of Chile’s most important battles are celebrated with a ceremony. In fact Chile is one of the countries with the most amount of holidays in the world. The traditional dance in Chile is the Cueca. People mostly do this dance on the Independence Day (yes, the 18th of September). This dance is supposed to represent how the male tries to win over the female. It is copying the dance that the chickens do, when the rooster dances around to impress the hen. The ways doing this dance may vary slightly from one region to the other but the basics are the same throughout the country. As for their artistic expressions, Chileans are a romantic and dreamy culture, so they stand out in the poetry area of the arts. They have had two famous poets, Pablo Neruda and Gabriela Mistral, they both won the Nobel Price of literature. Some of the other important writers that make up the Chile culture are Vicente Huidobro, Isabel Allende, Alberto Blest Gana, José Donoso and for writing children’s books Marcela Paz among many others. They also have numerous musical groups, some of which are recognized internationally among the Latin community such as La Ley, Illapu and Los Jaivas among others. 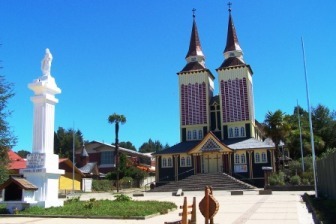 Like I mentioned before one of the religious aspects that make up the Chile culture is the Catholic Church. Many Chileans are catholic and go to church every Sunday to listen to the priest lecture. But besides the influence on the people attending the church, the church also has a lot of influence on accepting or denying some of the laws. This is why divorce in Chile is a relatively new concept and getting a divorce is usually a very long process even if both parties are in agreement. Chile had a lot of difficulty in passing this law and until recently they used to get annulled. Another important aspect that makes up the Chile culture is the indigenous part of the country. The biggest indigenous influences of the country are the Mapuches, found from the Bio-Bio to Chiloe region. This is the largest group of native people in the country and they fight hard so they won’t be faded out. The second largest groups of native people after the Mapuches are the Aymaras (found in the northern part of the country) and the Rapa Nuis (which can be located on Easter Island). There are smaller groups of native people still left in this country but it’s harder to locate them since a lot of them have moved to the cities and have left their ways of life’s and traditions for the modern life. They are up north, the Atacameños, the Collas, the Diaguitas, Quechuas. Down south you’ll still find in smaller quantities the Kawashkar and the Yagán. 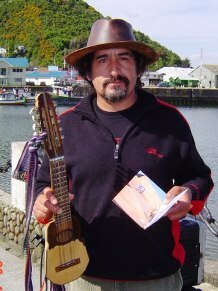 The language and oral expressions is a very important trait of the Chile culture that makes it very unique. My dad has had a harder time learning the Chilean Spanish than I have, and he’s always told me that the Chileans speak a Spanish that’s very hard to understand. They speak very fast and they don’t pronounce very well. They don’t say the “s” and they don’t pronounce the ending of the words either. That’s just the beginning after all that you have to add a whole bunch of slang words and saying they have. But after you start to know the slang words and understand their meaning you’ll start to realize they’re funny. So these are just some of the things that make up this interesting little but very long country. There are so many more things for me to tell you and go into much more detail on these ones I mentioned. 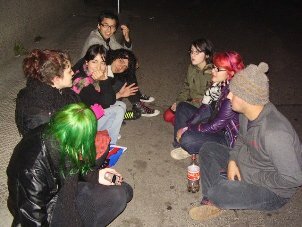 So hang around because I will keep on writing about the Chile culture.